commission. The dates of the show and sale are May 3rd – 5th, 2019. Sculpture Garden expansion with a $60,000.00 commission competition. sculpture community as a first-rate show. 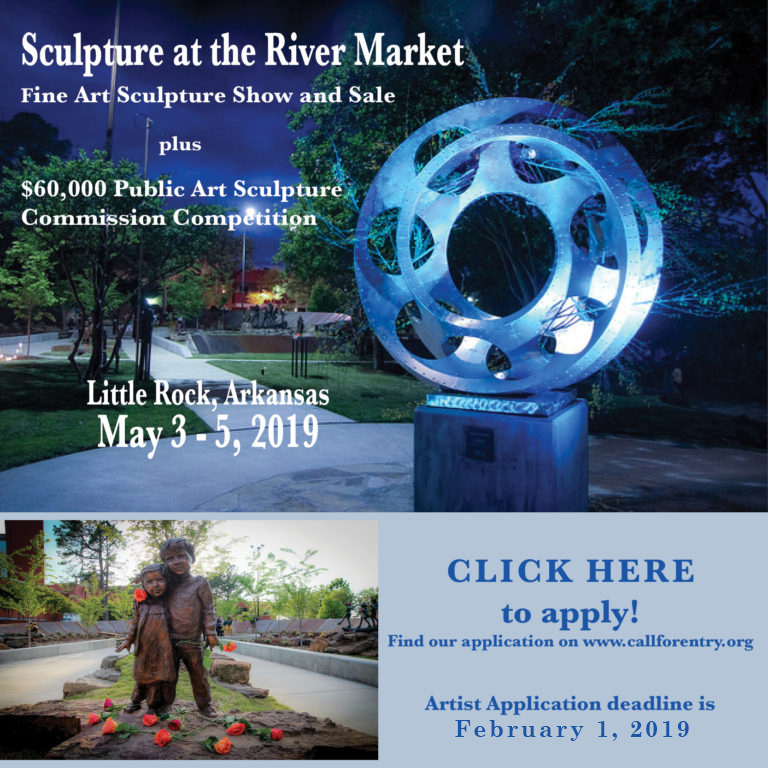 2019 Sculpture at the River Market Fine Art Sculpture Show & Sale will be our 11th annual event. Riverfront Park. This most unique Sculpture Garden showcases award-winning pieces. media categories include metal, ceramics, glass, wood, resin and stone. All sculpture sold at the show will be processed through the Sculpture at the River Market Treasury. Sculpture at the River Market’s commission is 33.33% of each sale. commission prospectus will be emailed to the artist. Proceeds from the Show & Sale will benefit the City of Little Rock’s public art program.